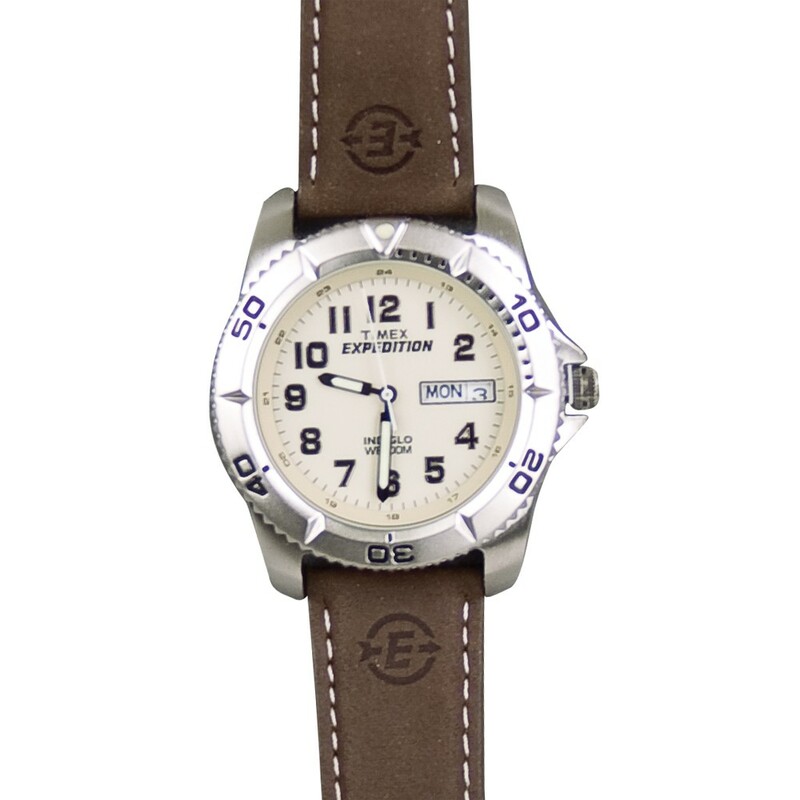 Silvertone finish and brown water resistant leather strap. Analog movement with day and date calendar and second hand. Indiglo® night-light. Water resistant to 328 Ft. No alarm or timer. 19/16” face and 11/16” band.